Or $120 for 12 class punch card. Half price for children of currently enrolled NWJJA members. 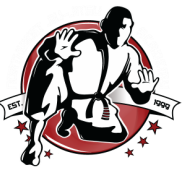 SATURDAY 9-10AMWhy should my child train in Jiu Jitsu?Jiu Jitsu practice inherently contains a balanced combination of cardiovascular and resistance training that is great for kids and adults alike. NWJJA emphasizes a safe and progressive system taught by highly trained professional competitors. We keep the training fun and engaging by integrating a child's natural need to play. As your child becomes proficient in the art their strength, flexibility and balance improve—and success follows. And with success on the mat comes esteem and confidence in life. Competition is always an option but not required. Several tournaments are held all over the Pacific NW. We encourage and coach the kids at these events. Regardless of your child's goals in training we will always emphasize sportsmanship and camaraderie over competition. BULLYING AND SELF DEFENSEWe now know the impact and harsh reality of bullying. NWJJA has designed it's program to give kids the tools to safely stand up to bullies. We have found that most fights, especially where there is a size disparity between opponents, end up in a wrestling clinch or on the ground. It therefore makes sense to train your child to handle situations where they can control larger opponent in the clinch or on the ground. Many arts emphasize striking or punching for self defense. In school striking another child will result in suspension or worse, a severely injured child. It is our feeling that teaching a child how to control the bully without injury is the key. Jiu Jitsu is a grappling art where safety and control is paramount. NWJJA doesn't make unfounded claims: Jiu Jitsu has been proven in literally thousands of televised events to be highly effective in enabling smaller people to safely dominate much larger aggressors. The Belt SystemWe award up to 10 colored belts to kids, white through green. Each color has four stripes (or stages of training). Stripes are awarded for participation in 12 classes. After the 4th stripe and 12 additional classes, the students are then tested on their knowledge. The belt test is guided by 2nd degree Machado Black Belt Brian Johnson - one of the most decorated competitors in the State. Kids Course Instructor: Mike LearyIntroduced to the art in 2005, Mike was instantly taken by its subtle effectiveness. At the age of 38, he became a dedicated student of 2nd Degree Machado Black Belt Brian Johnson. Training consistently for 6 years and receiving a purple belt in October of 2009, Mike has competed in several tournaments on the west coast and has defeated men half his age.